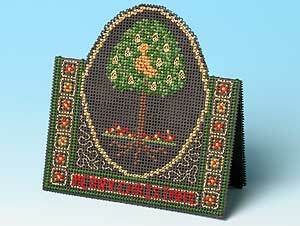 This design shows a partridge sitting in a pear tree, recalling the delightful old carol. It is worked on black paper, and stands about 12.5 cms high. A Christmas greeting is worked across the lower border.